A couple of years ago I turned 40 and wrote a post, on the other blog, about things I had done over the past four decades and a few still on my “bucket list.” I even asked for suggestions; maybe I’m not aware of all that I have not experienced yet. Today is a different sort of birthday. It was on June 19th, 1988, that I became a born again Christian believer. I was 12 years old in the summer of ’88. Our family went to church every time the doors were open and it was a not a subject open for discussion. The first few years of my Christian life were spent in Wednesday night youth Bible studies and a memorable lock-in when I was in the 8th grade. My dad was a lay preacher and played guitar so I had been singing in church since I could talk. I learned to play the bass guitar at 15 or so and later took piano lessons. 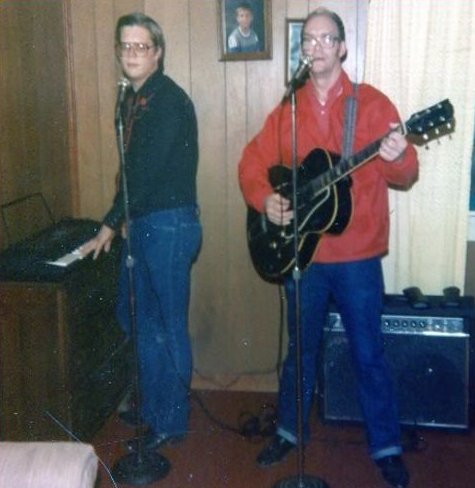 In high school, with Dad playing guitar and me on bass, two ladies joined us and we formed an in house church quartet. With that group we cut a 45 rpm record and with another lady recorded a cassette tape. While I still play the guitar, or play around with guitar occasionally, I used to play the piano and sing in church. You know, back in the day. I started teaching Sunday School at age 16. Every position in our church had an assistant. There was a whole strategy involved so that substitutes would be prepared in the event of absence or vacation and also each role would have a person in training to take that or similar job someday. The teacher I was supposed to be assisting immediately asked me to teach. So as a high school student I began teaching the high school Sunday School class. That may or may not have been a good idea but some of those kids are still friends – and thankfully still serving in churches – today. I announced a call to preach in January of 1993 and celebrated that 25th anniversary earlier this year. I didn’t go far from home for college. Shorter College, today Shorter University, was a 45 minute drive from home and I commuted for four years. I majored in history and political science and enrolled in the teacher education program. My goal, from the time I graduated high school, was to become a public school teacher. But I chose a private Christian college affiliated with the Georgia Baptist Convention. While every student was not a preacher or missionary kid, there were quite a few. 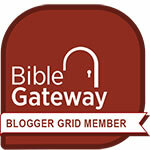 Intro to Bible was a course requirement for every student and many graduated from Shorter on their way to seminary. One of the first people I met on campus went to Midwestern Baptist Theological Seminary and pastors a church just 15 or 20 minutes away from where I serve today. We took very different paths to arrive at a similar place. My goal as a college student was to teach public school, close to home in northwest Georgia, and continue to do volunteer church work like teaching VBS and going on summer mission trips. I got married in 1997 and graduated Shorter in ’98. In our talks about family life and ministry I mentioned being a preacher and the possibility of someday becoming a pastor. Interesting now that I should include that caveat since I had every intention of teaching school for 30 years and retiring with a state pension. But I remembered a high school teacher that left the public school system to pastor a church full time, so in the back of mind that was always a possibility. Early in our married life we taught Sunday school together, sang in the choir, volunteered and later directed Vacation Bible School and went on week long, short term mission trips. I was ordained to serve as a church deacon. We celebrated 20 years of marriage last fall and, although we got a late start, are today raising an 8 year old daughter. We struggled with difficulty getting pregnant and a couple of miscarriages along the way. I never found that public school teaching job. English and social studies teachers were a dime a dozen back then. In 2003 we moved from Georgia to Kentucky to begin a new chapter of life at Oneida Baptist Institute. I agreed to teach in the middle school and math classes at that. After one year I moved up to the high school and taught World History for the next eight years. I also taught geography at first and U.S. History later on. But I didn’t just find a teaching job. My wife and I both entered full time ministry together. We lived on campus and ate most of our meals in the dining hall. We took students to daily chapel services. With a history of working with church youth, and having been ordained into the ministry as we accepted our new roles, I was one of the in-house preachers on the chapel rotation. Teresa and I were asked to lead Baptist Campus Ministry (which some may still remember as Baptist Student Union from back in the day). During our nine years living and teaching at a private Christian boarding school I learned to drive a school bus, operate lighting and sound equipment, run the clock and scoreboard for basketball games and other odd jobs. We both had a history of dabbling in theater and helped direct a total of 19 school plays. I have been pastoring a small SBC church, back home in Georgia, for nearly four years. Teresa leads worship music, creates the church bulletin and teaches Sunday school. She started working last year in the front office of a nearby United Methodist Church. I published a book in 2014 and wrote a weekly newspaper column for a while shortly thereafter. We live in the church parsonage (which they call the pastorium, a word I was not familiar with but refers to the home of a pastor since I am not a parson). The church provides housing and also gas, water and electric. I don’t make a lot of money but those benefits are part of my compensation; in some ways it’s a lot like the ministry in Kentucky. If I quit or get fired I won’t just be unemployed, my family will be homeless. This is not an exhaustive list and I hope it doesn’t read like a resume. I’ve left out so many people (like Sammy Allen, A.J. Waters, Mike Jones, Jerry Brooks, Mike and Gail Silver, Michael and Denise Spencer, Ken Bolin) and only referenced my father as “Dad.” But at this point I need to wrap it up or split it into a series. So let me just say God is good all the time. This entry was posted in Uncategorized and tagged background, Clark Bunch, ministry, personally history. Bookmark the permalink. I tried to caption the inline pics but they wouldn’t display right. I’m on the left in that top picture, age 14 or 15. 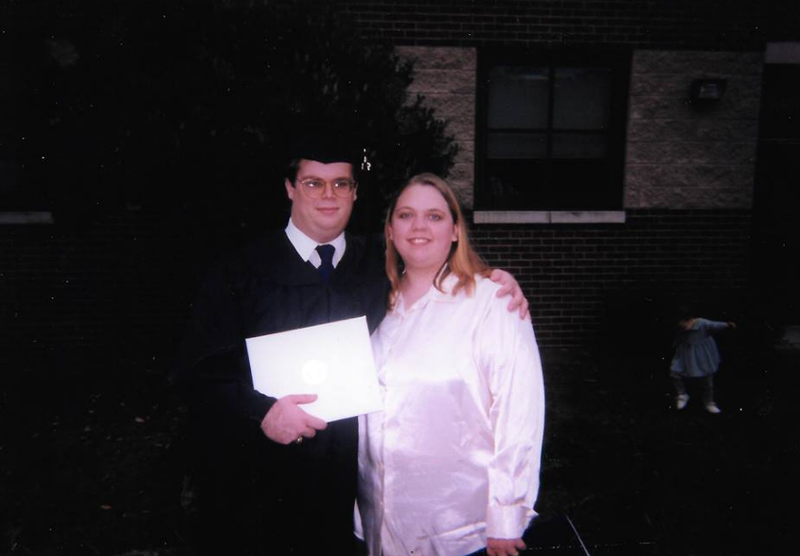 The next pic is my graduation from Shorter in 1998 next to my child bride. 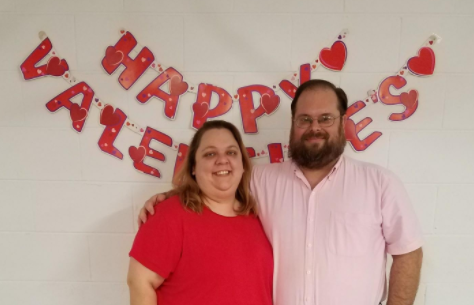 The final pic was taken at our Valentine Banquet in February of this year. Click on any pic to view full size.